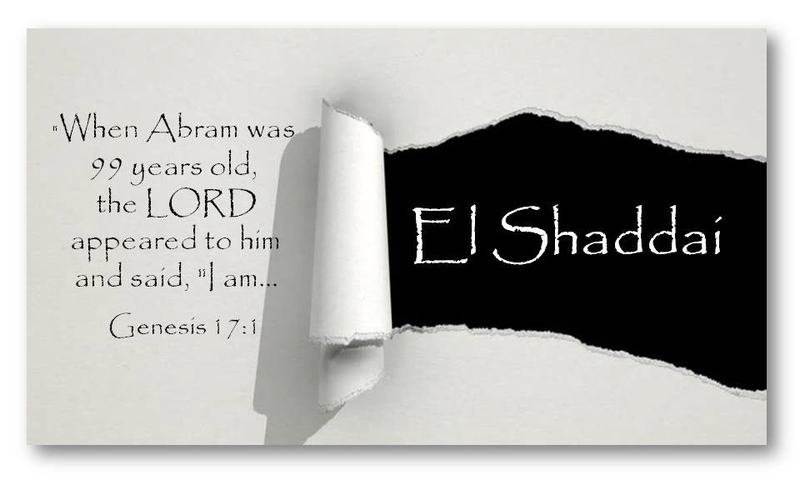 Interesting point, in the same chapter that God introduces Himself as God Almighty, (‘All-Powerful Sufficient One’) God changes Abram’s name to Abraham (‘father of many’) and Sarai to Sarah (‘woman of nobility’). New character quality-name introductions all around. Peter declares this of us, that we too have a character quality-name change, when he said, you who believe, (and as Paul says, “you who were once far off, have been brought near through the blood of Christ.” – Eph. 2:13) you who through adoptive grace “are a chosen people. You are royal priests, a holy nation, God’s very own possession.” (1 Peter 2:9*) God’s gracious great power through Jesus! We are HIS! THAT is our God! Over… Beyond… ENOUGH! This entry was posted on November 18, 2018 by Inspired Fountain. It was filed under * Miscellanous Stuff and was tagged with Almighty, El Shaddai, God Almighty, The Names of God.